Dean and Fotis always ready for action. 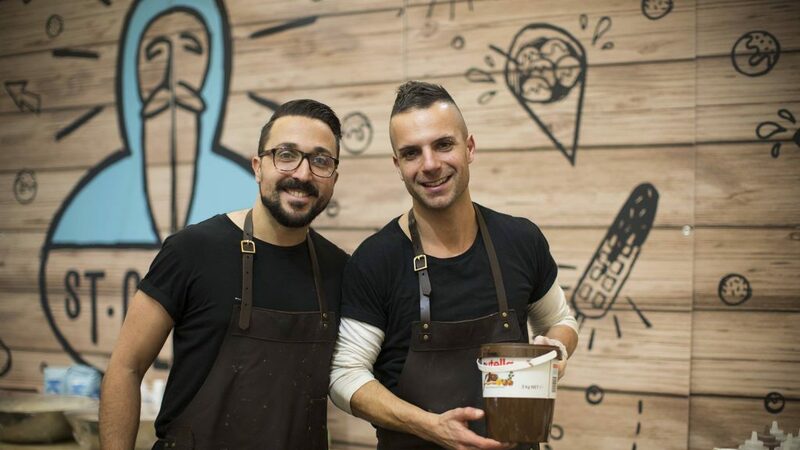 Two Melbourne Greeks, Dean Giannakis and Fotis Nikolaou, are the boys behind St. Gerry’s roaming food cart, serving dessert enthusiasts the puffiest loukoumades and Fudge Puppy (Belgian waffle on a stick). 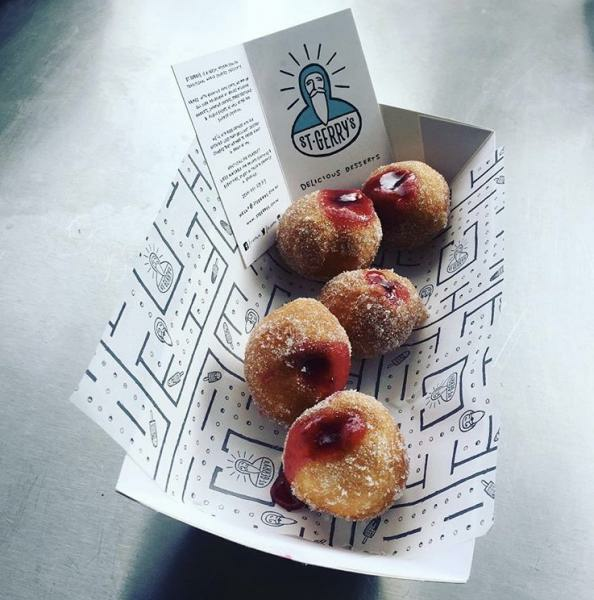 St. Gerry’s specialises in Greek doughnuts and other traditional world-sourced desserts that will make your tastebuds explode. Meanwhile, everything is made to order in front of you, from the dough to using the doughnut machine, injecting sauces and adding toppings. “We love giving people the chance to not only see what goes in but also enjoy the theatre,” Dean and Fotis agree. 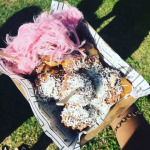 Named after Saint Gerasimos, the Greek-inspired St. Gerry’s finds being part of Melbourne’s food truck industry challenging. Meeting new people as they set up their stall in different locations helps them “get the vibe” of the crowd and receive honest feedback from the most demanding foodies on the spot. 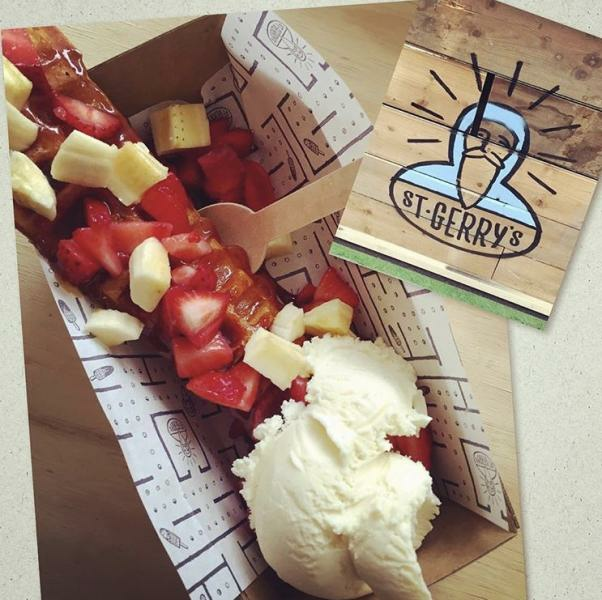 Combining modern and traditional flavours, oil-fried goodies with fresh fruits, St. Gerry’s desserts will make you lick your fingers wanting more. 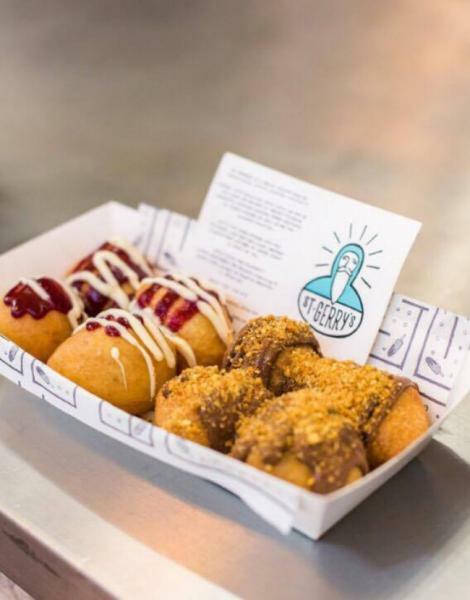 Their ever-changing menu includes bite-sized fluffy doughnuts, waffles on a stick and honey-drizzled loukoumades topped with cinnamon and walnuts. Do not miss out on the hazelnut chocolate and yiayia’s crumbed biscuits, but make sure you try their special salted caramel topping and popcorn flavours. Dean and Fotis even offer their own take on the ‘Snickers’ bar. Having said that, feel free to let loose your gastronomic creativity and experiment with all the options on the menu, tweaking standard recipes. The boys are all about delivering one-of-a-kind and mostly fresh, delicious desserts that will leave their clientele satisfied. “This is what makes us feel good,” they say. The pleasure is all ours, we can assure you.